We kindly remind you that the deadline for submitting your image for the Mirabaud Yacht Racing Image award is September 12, 2018. There will be one official winner, selected by the international jury. 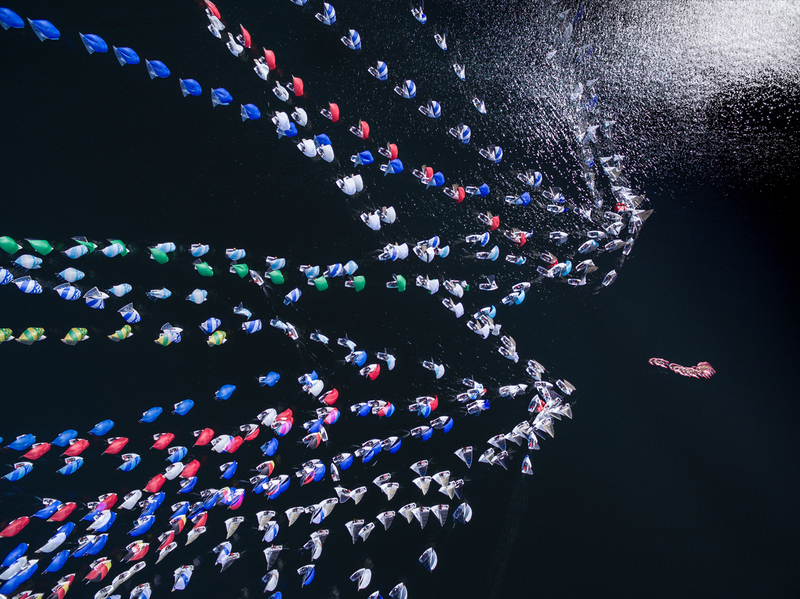 The top 20 pictures chosen by the international jury will be exhibited at the Yacht Racing Forum in Lorient, France, on October 22-23, in front of the worlds leading personalities from the world of sailing. The main prize is the "Mirabaud Yacht Racing Image Award", selected by the international jury. The "Yacht Racing Forum Award", decided by the 3-400 delegates of the Yacht Racing Forum. The "Public Award", based on the number of votes on Internet. This is a fun award, aimed at increasing the visibility of both the photographers and the entire contest. Photographers are encouraged to like and share pictures, and to do as much self-promotion as they like. This prize recognizes the quality of the winning picture as well as the photographers’ network and the support he (she) can generate around him and his (her) photograph. The top eighty pictures will be published on the event’s brand new website on September 18, allowing the public to vote. Each picture will be linked with a presentation of its authors and a description of each photograph. The winner of the Mirabaud Yacht Racing Image award will receive € 1’000 prize money. The winners of the Public Award and Yacht Racing Forum Award will receive € 500 prize money. The winners will be announced and celebrated during the Yacht Racing Forum, in Lorient on October 23; an event to which you are kindly invited. Professional yacht racing photographers from all over the world are invited to register and submit their best yacht racing image from the current sailing season on our website, where all the detailed rules are available. * © Sören Hese, winner of the Mirabaud Yacht Racing Image 2017. This photo - a montage - generated a heated debate last year: was the international jury right to accept a photo-montage, and an image produced from a drone? Since then, the rules have been updated with the advice of some of the best yacht racing photographers.